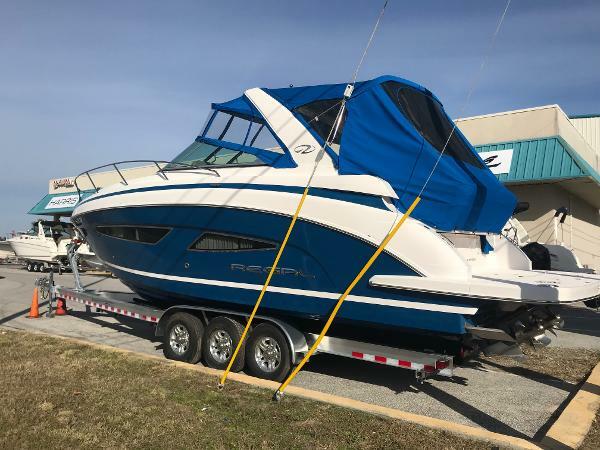 2015 Regal 32 Express with twin Mercury 350 Mag Seacore (closed cooling) engines & outdrives for the best salt water protection. Special ordered from Regal. Fully loaded including Joystick steering makes docking stress free. Professionaly maintained at Rex Marine. 100% working order. Condition inside and out is exceptional. Take back your weekend with the 32 Express and open your boating lifestyle to new possibilities. This express cruiser combines American craftsmanship with expanded sleeping accommodations and slide away seating to give serious boaters a sense of luxury on extended stays. 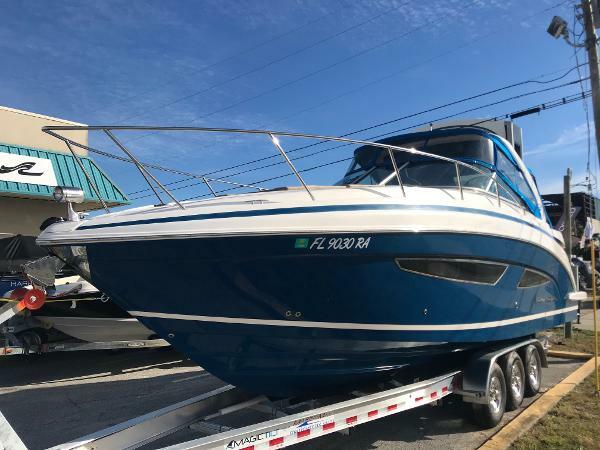 This beautiful 32 Express Cruiser powered by twin Volvo Penta 300 V8 is a one owner boat with 128 hours. With the Kohler 5kW generator she is ready for a weekend on the water sleeping 6. The bow-thruster makes for ease around the dock while the power arch folds for storing or towing. 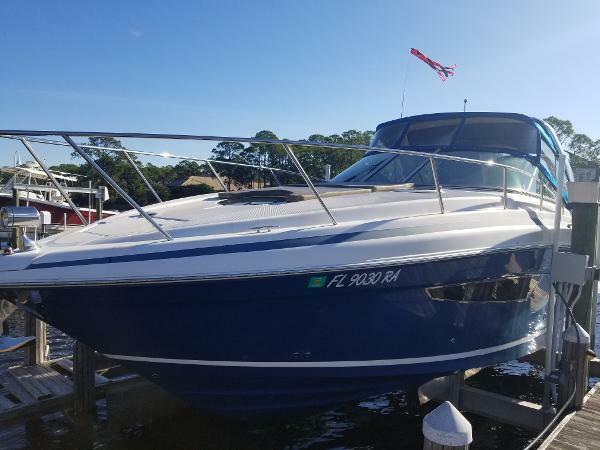 Other upgrades include Air Conditioning, Garmin 12 inch color Chartplotter, Cruise package, Remote spotlight, Electric windlass anchor system, Grill, Cockpit refrigerator, Foredeck sunpad, Electric stove, upgraded stereo, TV in mid cabin.